laurent Cohen You can enter the promo code CBOYS and receive a 50% discount off any Comfy Boys products. - On the cart page, In the field that says "promo code" below the products - On the checkout page, in the field that says "Have a coupon? CLICK HERE TO ENTER YOUR CODE" at the top of the page. Make sure to hit the arrow on the right side of the field to validate your promo code! 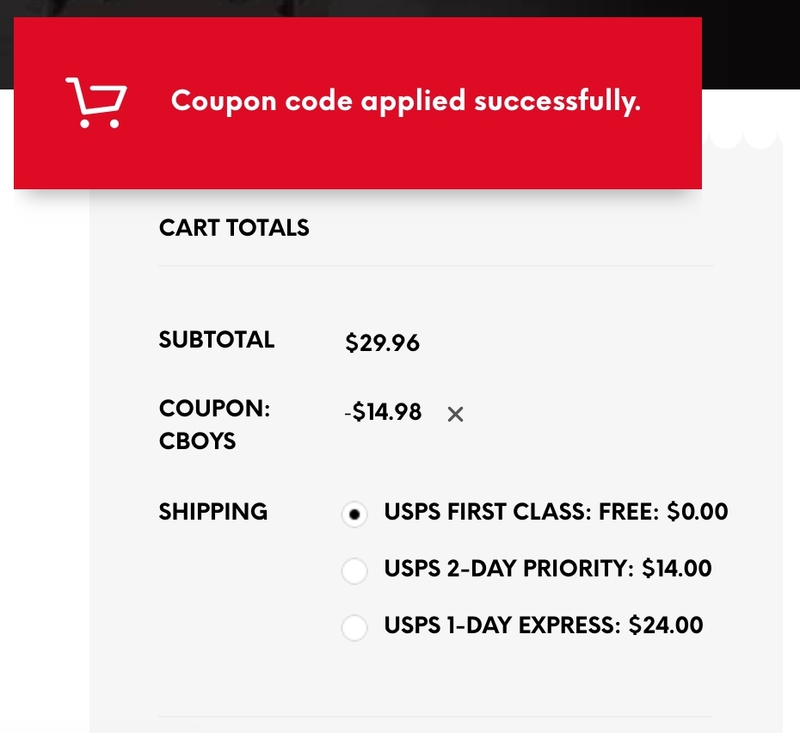 laurent Cohen You can enter the promo code CBOYS and receive a 50% discount off 2+ Comfy Boys products: - On the cart page, In the field that says "promo code" below the products - On the checkout page, in the field that says "Have a coupon? CLICK HERE TO ENTER YOUR CODE" at the top of the page. Make sure to hit the arrow on the right side of the field to validate your promo code!